Light, bursting with lemon & YUMMY! 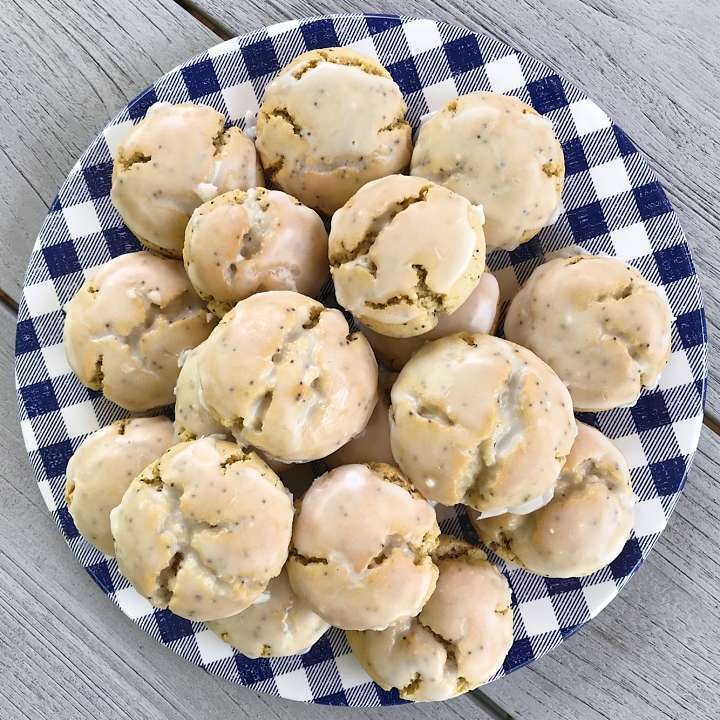 These Soft Baked Lemon Poppyseed Cookies are a perfect Spring and Summertime treat! Light, soft and chewy, just the right amount of sweet and bursting with lemon… they are a total crowd pleaser! They delight taste buds everywhere and being Gluten-free, Grain-Free, Vegan and Paleo-friendly, they satisfy all sorts of dietary needs and preferences. The lemon glaze makes them feel special and extra festive! To keep paleo, don’t add the toppings. Recipe loosely adapted from Texan Erin. These soft and chewy cookies are light, have just the right amount of sweet and are bursting with lemon... a total crowd pleaser! And being Gluten-free, Grain-Free, Vegan and Paleo-friendly, they satisfy all sorts of dietary needs and preferences. Recipe loosely adapted from Texan Erin. In a large mixing bowl, mix together coconut oil, maple syrup, lemon zest and lemon extract. Divide dough into 18 equal size pieces, placing 9 on each baking sheet, approximately 3" apart. Roll each dough piece into a ball. Then press the balls down slightly with your palm. Bake cookies for 10-12 minutes or until the cookies have lightly browned. The cookies may crackle a little. The cookies will still be very soft when you remove them from the oven. Let them cool on the pan completely. Enjoy as is or when completely cooled dip in Glaze. See directions below. Mix powdered sugar and lemon juice with a spoon or small whisk until it is a consistency that spreads, but doesn't run off the cookie. Hold the baked and cooled cookie upside down and dip it in the lemon glaze. Swirl to cover cookie top, pull up, let excess drip off and place on cookie sheet. This recipe is simply amazing!! Thank you for sharing!! They go great with your coffee in the morning and dessert after dinner!